KoopaTV: Are We Too Harsh On Miyamoto? By LUDWIG VON KOOPA - We're not harsh enough. Sakurai has announced a Paper Mario stage... based off of Paper Mario: Sticker Star. There is another picture right below that one, too. Well, what do you know! 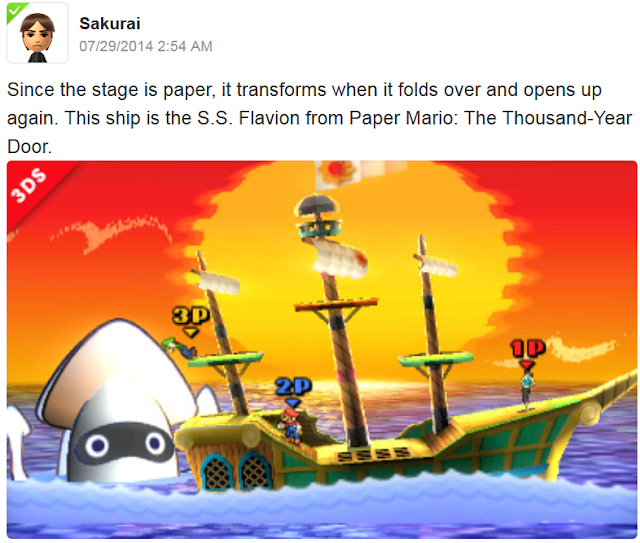 They took some inspiration from Paper Mario: The Thousand-Year Door! Seriously. That timing is kind of surreal. It's not like we talked about this every day you know! So our discussion was of course on one of KoopaTV's hated figures, Shigeru Miyamoto. Well, before that, I was talking about how when Super Paper Mario came out, it pretty much broke the community of Nintendo fans in half. Since, you know, everyone back then played the Mario games for the RPGs. The thing is, Super Paper Mario fans had valid reasons to really like their game. 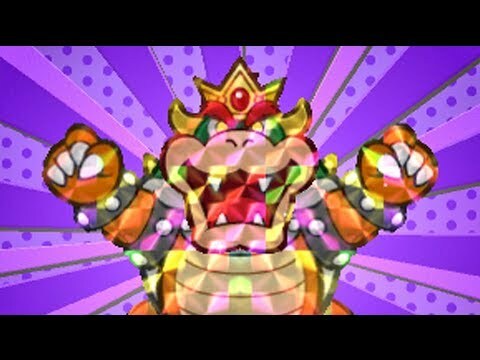 I mean, Bowser had better music in this game than Paper Mario: The Thousand-Year Door, that's for sure. And better characterization. 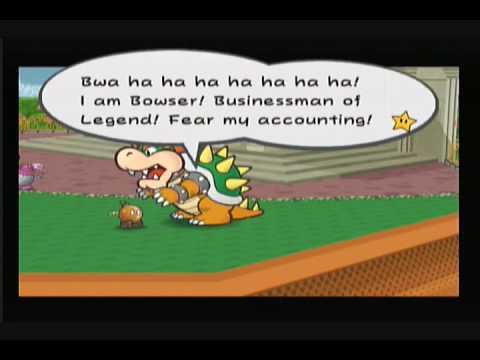 Even if Paper Mario: The Thousand-Year Door featured him as the businessman of legend, here Bowser had amazing dialogue with the game's bosses, especially his rival, O' Chunks. You know, it's sometimes good when a series dares does something different, to break things up. I have no ill-will to Super Paper Mario. In fact, it was my first Wii game, and I enjoyed it. And obviously I loved Paper Mario: The Thousand-Year Door, and the original Paper Mario is similarly amazing. You know, I did a Let's Play of it at one point in my life. Without badges. So Super Paper Mario diverged from the series formula and it had its own debatable hits and misses. But it was time to come back to the formula that fans had missed for two hardware generations now. And that is where we get to the main point of today's article, Shigeru Miyamoto. I concluded the discussion in the AIM Blast with (I'm paraphrasing myself), "So it had a great DIVISION in the community, but then the split parts of the fanbase came together in mutual hatred for Paper Mario: Sticker Star." I mean, sure, it's good that the community came back, but this wasn't the right way to do it! Super Paper Mario fans, for the most part, still wanted the next game in the series to be a traditional RPG! All of our hatred with Miyamoto from the disaster known as Paper Mario: Sticker Star stems from this Iwata Asks. It might be the most infamous Iwata Asks of all time. If you haven't read it, I highly suggest you do so since the rest of this article is going to refer to it. And they actually made this. A prototype of it. And that man, Miyamoto, declared it "boring." And said to start over. Well, what's the problem, you may ask? We don't want boring games, do we? Well, one thing to keep in mind is that Miyamoto's definition of boring and our definition of boring are completely different. 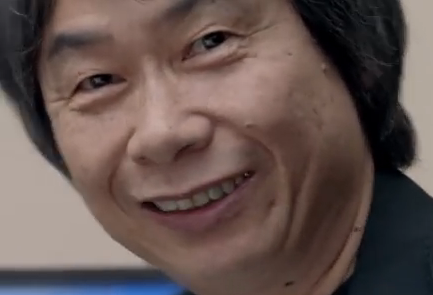 Miyamoto thought Project Guard and Giant Robot at E3 2014 were fun. Those things prove that Miyamoto has gone senile. Intelligent Systems does not make boring games. They're one of Nintendo's best developers. Miyamoto's interest in games are that of a child who is too impatient for turn-based RPGs. Miyamoto just wants action with ridiculous premises. He doesn't like something more measured. And he has this idea in his head where he wants his characters to be as bland as possible. Not one word of dialogue. Not. One. "No, there were times when Miyamoto-san has really gotten angry at me! (laughs) Like about treatment of Bowser. But the Super Mario games have an orthodox lineage that Miyamoto-san thought up as its creator. So while Paper Mario, as part of that, must preserve certain things, I think there is a point to tackling new and unusual things." What that means is that Miyamoto is angry that King Dad got any characterization in Paper Mario, Paper Mario: The Thousand-Year Door, and Super Paper Mario. Miyamoto PREFERS Bowser to be a bland and characterless monster. "But being unable to use new characters is pretty strict. Of course, we could not make any new enemy characters, and as for allies among the Super Mario characters, there's really only Toad in various colors!" Miyamoto has no idea what made these RPGs good to begin with. They're good because of the new characters, the expanded canon, and the story. OF COURSE YOU NEED A STORY. IT'S AN RPG! "During the confusion at the beginning, everyone was quiet at the meetings, and conversation never took off." "I bet it took quite awhile for the idea of using stickers so thoroughly to permeate the entire team." "Well, as mentioned before, the mechanics present new challenges and the gameworld represents a new start. We worked hard so that this game would become the new standard for future Paper Mario games, so please play it to the fullest!" Well, I did play Sticker Star to the fullest. I 100%-ed it. I sincerely hope that it is not the new standard, and I sincerely hope there will be future Paper Mario games in the vein of the first two. None of this can happen if Shigeru Miyamoto remains in his position of power as an abuser of Nintendo's teams, however. "Iwata Listening to you talk, it sounds like Miyamoto-san was a scary presence for the team. Tanabe We have no shortage of the anecdotes in that nature. What we can reveal today are only a fraction of them!" We hope you agree with the "scary presence" part. Miyamoto delights in the misery of others. He fits many of the traits of an abuser (as does his favourite creation). It's up to Masahiro Sakurai to undo his destruction with proper Paper Mario representation in Super Smash Bros. 4. We hope the new stage is in the Wii U version as well (or something like it), and we hope it focuses on the console Paper Mario games that made the sub-series so great! ...Personally I don't want Paper Mario as a playable character, but that's just me. Well, what do you think? Is Ludwig way off-base in his characterization of Shigeru Miyamoto? Do you miss the old days of when the fanbase got multiple RPGs expanding the canon? Should the series stay a collection of platformers? Sound off here and/or at Miiverse, where Ludwig regularly enters discussions about how bad Paper Mario: Sticker Star is. You'll know it's him because his NNID is PrinceOfKoopas. Ludwig writes good things about parts of Sticker Star here. For the original Miyamoto-bashing article on KoopaTV, look here. For more on how Miyamoto hates women, look here. For Ludwig formally declaring his hatred of Miyamoto, click here. For more on how Miyamoto brings his impatience and disdain for infinite time into his game design by mandating timers, click here. 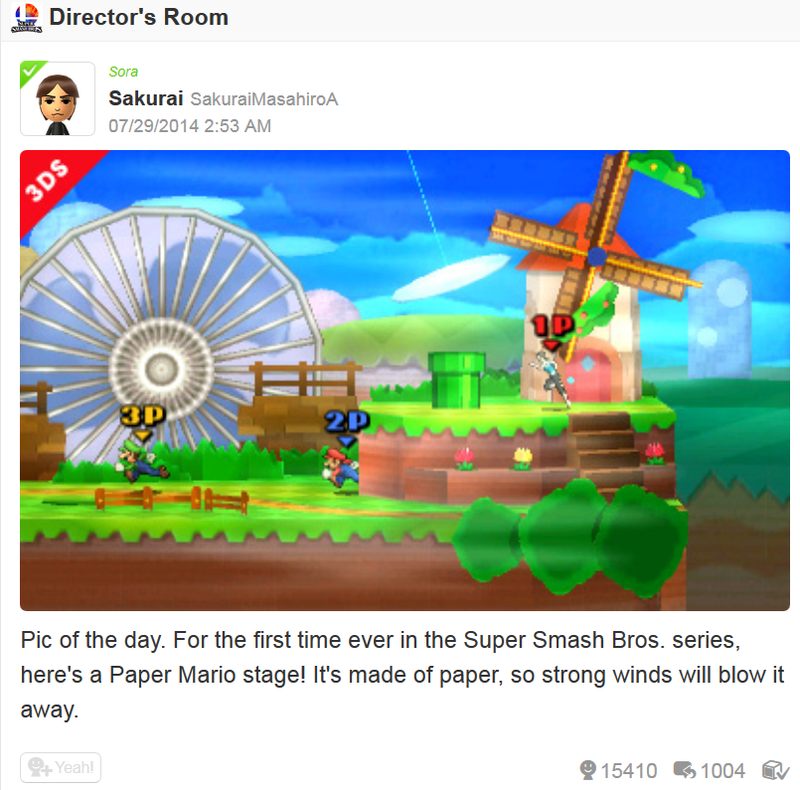 This was declared the Best KoopaTV Article of 2014. KoopaTV later gets even harsher on Miyamoto, blaming him for eating disorders. Miyamoto's design philosophies are rubbing off on other game directors. Except for that deduction in canon, he is evil for that. Innovation for the sake of innovation isn't good! You have to BELIEVE in the new idea. Which IS did not, so the game sucked. I already blogged about this game, so there's no need for me to rant......... never mind. Going to rant. "I didn't think we necessarily needed a lengthy story like in an RPG." YES YOU DID! And Iwata even says it later on: "You purposefully threw out the basic RPG structure." Then WHY make it a Paper Mario game?! "The game mechanics are quite different from previous Paper Mario games, but without a doubt, it turned out to be a Paper Mario game. " No. It. Didn't. Agh! I hate that game! I hate it! I... am going to fill out my Club Nintendo survey about it. ...Except, this immense amount of rage is justified! Well, yes, I am a masochist, but that's probably not the subject of this blog! Real-time sticker action doesn't sound, um, comfortable.